When there never seems to be enough hours in the day to get everything done, spending time in the kitchen slaving over a stove to prepare an evening meal is often the last thing anyone wants to do. If you have a busy family life, and cannot face another ready-made meal, then it’s time to consider the simple, cheap, and expedient kitchen gadget that will pay for itself in no time – a slow cooker. Just think about coming home at the end of a long day to a perfectly cooked meal. It already has my taste buds tingling. If you are looking for a basic slow cooker, from a manufacturer that has a longstanding reputation, then this model from Russell Hobbs will not let you down. This slow cooker has all the regular features and is often touted as a great rice cooker. If you are after an Irish stew or something more exotic like a red curry, this slow cooker will not disappoint. This cooker has manual controls, so it will not switch itself off, or go to a warm function automatically. However, the quality of the cooking is excellent, with succulent meat and vegetables done on the high setting. Users have warned that the outside of the cooker can get hot, and recommend using oven gloves when touching the handles after a cook. Not the biggest slow cooker we review, or with the most added extras, the VonShef gains its place on price, as probably the cheapest slow cooker on the market. Even though it can retail for an incredibly affordable price, the VonShef has many of the features found on slow cookers twice the price and more. This is a basic machine, which does exactly what it is supposed to do, and so is great value. With a stainless steel pot and toughened glass lid, the VonShef is dishwasher safe, so easy to clean. The simple controls mean that once the cooking process is over the dish is kept warm until the family is ready to eat. The Lakeland 3.5-litre is a mid-priced slow cooker. The capacity is more than enough for a family, and it is easy to operate, and clean. The three heat settings make it very versatile. The Low heat is perfect for slow cooking, High for speedy cooking, and auto which makes the food stay at the perfect temperature. The beautiful chrome part comes with cool-touch handles, so you will not get your fingers burned. The heating element covers the crock entirely to give even cooking. The ceramic pot includes a glass lid so you can see what is going on inside during the cooking, and the pot can be used for serving at the table and of course cleaning. The makers advise not to overfill the cooker pot to avoid spillage, as there can be some bubbling when the ingredients are simmering. Unlike some other brands, the Lakeland does not have a timer, but for many people that should not be a problem. Generally, the cooking time on the low setting will be about 8 hours, and the high will take 4 hours. This is the ideal slow cooker for a small kitchen, or where storage space is at a premium. The clever design means the detachable heating base is stored inside the lightweight aluminium cooking pot when not in use. Added to that the pot can be used on most types of cookers, other than induction so the meat can be seared before slow cooking, meaning the meals prepared are just a little extra tasty. The controls on the Morphy Richards are simple and straightforward, some people have described them as idiot proof. However, the cooker does not come with a timer, which some people may prefer. It does not have the keep warm facility found on other slow cookers. The square shape has the added advantage of being easier to pour the contents from a corner. The glass lid is equipped with steam vents, which reduces condensation making it simpler to keep an eye on what’s cooking. As we have seen Crock-Pot was the first company to design an electric slow cooker, and the brand gets a second entry in our top ten with the DuraCeramic Saute model. This is a good all rounder, with cooks all saying it performs well in the kitchen, and turns out tasty and delicious meals. The removable multi-use cooking bowl can be used on all cooker types including induction, meaning you can sauté meat to give dinners an extra twist. It can even be utilised in the oven or stored in the fridge or freezer. Like many modern slow cookers this model features a digital timer with LED screen to set cooking times. It has two heat settings and an auto function to keep the dish warm ready to eat. Users have noticed that the handles of the cooking pot can get quite warm, so it may be better to serve directly from the cooker rather than removing the pot to the table. They also have commented that it can be difficult to pour if you want to decant a meal into another receptacle. The fiery red Andrew James Digital slow cooker will brighten up any kitchen. This brash machine is big enough to cook a meal for a famished family. The digital timer on the front of the slow cooker allows you to programme the cook time. Cooks have commented on how well this machine cooks meat, and that unlike other slow cookers vegetables are not soggy at the end of the cooking process. One drawback is that the ceramic cook pot is not dishwasher safe. With a bigger capacity the Breville 4.5 Litre Slow Cooker is ideal for a family of 4-5 people. It is a stylish, powerful, versatile, and easy to use and can produce scrumptious chillies, curries, stews and even soups. What people like most about the Breville is its capacity. You can even cook a whole chicken in it. Like most slow cookers it has two temperature settings depending on how long you want to cook your dish. Make no mistake, this is a big and heavy slow cooker, and although it cooks well, it does have its drawbacks. The ceramic cooking pot can not be put in the dishwasher, but the glass lid can. During the cooking process, the exterior of the slow cooker says cool, but the cooking pot does get hot and has handles which can be used even wearing oven gloves. There is no timer, so the machine has to be switched off at the end of the cooking process. This is the most versatile and expensive cooker in our best buy review, some might describe it as the ‘Rolls-Royce’ of slow cookers. It doubles up as a pressure cooker as well as a slow cooker and can be used to steam, sauté, and sear with the press of a button. The built-in sensors at the top and bottom of the cooking vessel monitor the ingredients to accurately measure the temperature and pressure inside the machine enabling it to maximise the flavour and texture of the finished dish. The interactive LCD screen allows you to check on the cooking process, and the presets give you ideal cooking times for a number of dishes and ingredients. The digital control panel allows the user to save their own particular settings in the memory. The exterior remains cool during cooking which is a bonus. However, the hinged lid is fiddly to put back on after removal for cleaning. If the price is no object, this would be our number one pick. Our tenth spot goes to a brand that created the electric slow cooker more than 40 years ago. Crock-Pot came out with its first product in 1971 and cooks young and old have never looked back. The black Countdown is an ideal slow cooker for turning cheaper cuts of meat into tender stews and casseroles. With a 4.7-litre capacity and a removable ceramic cooking pot, this model is more than sufficient to cook a family meal. Cooks are impressed with the way the Crock-Pot cooks stews, curries, and soup. The meat and vegetables are properly cooked in the allotted time. The programmable timer is another handy feature of the Black Countdown model. It is accurate, and once it has counted down the allocated cooking time, the cooker switches automatically to keeping the dish warm and ready to serve. Some people may see the lack of an automatic setting, where the cooking function changes from high heat to low after a particular time as a drawback. 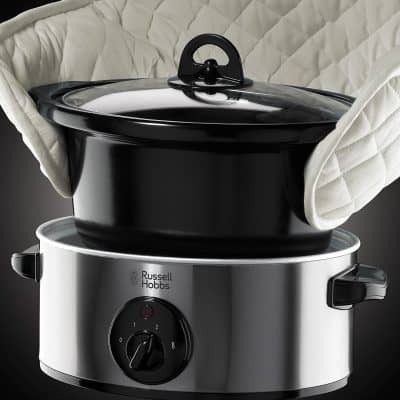 With the ability to clean the cooking pot in the dishwasher, the Crock-Pot Black Countdown is one of our top selections based on the quality of the food, its ease of use, and affordability. This slow cooker stands out from the rest in our review for a number of reasons. For one it is the traditional cast iron and ceramic construction. Another is the two lids giving the cooker the ability to double as a North African tagine. It has all the features one would expect from a high specification slow cooker, including a timer and keep warm facility. Cooks love that the cast iron cooking pot can work as a pan on the stove before being popped onto the heating element to act as a slow cooker. The Netherton Foundry slow cooker and its tagine lid is enough to inspire any home cook to begin experimenting with exotic international dishes from North Africa. This slow cooker comes with a huge tradition, as the makers pride themselves on sourcing all the components locally to their base in Shropshire, England. The cast iron for the body of the cooker, and the oak for the handles all come from sustainable sources near to the factory. With the tagine lid coming in various ceramic colours this is the sort of kitchen gadget you want out on display, and not hidden away in a cupboard when not being used. I guess that if it is there for everyone to see, it will probably get used more often as well! Celebrity chef Nigella Lawson described this slow cooker as ‘a thing of beauty’ when she got one for Christmas. Well, it does exactly as it describes, it cooks meat and vegetables at a relatively low heat by simmering over a long period of time. It means you can pop all the ingredients into the slow cooker in the morning before you head off to work, and hey presto, a deliciously warm and tasty meal is waiting for you at the end of the day. A slow cooker can also save you money because you’ll eat out less and have many more leftovers. For the purposes of this guide, we are looking at mid-size slow cookers, which are big enough to cook a family meal. We have been looking at slow cookers for all budgets, with both ceramic and metal cooking pots, and manual and digital controllers. When we searched for the slow cookers available on the market, we took into consideration the quality of the materials used, and the how they were made. This leads us to the next point, durability. Nobody wants to buy a product that will break down after just a few uses. Slow cookers are essentially a simple product, with little to go wrong. Those with more complicated controls such as timers and LED displays are generally the more expensive but have good consumer feedback. The same can be said for ease of use, the slow cooker is a ‘fill and forget’ kitchen gadget. All of the slow cookers reviewed pass the necessary safety tests. They are generally simple to use, with an on-off switch on the most basic of models, and those with more complex digital timers are intuitive. With no moving parts, there is little to go wrong in the slow cookers, maintenance is more making sure the cooking pot is kept clean after use, and any electrical power cables are regularly inspected for wear and replaced if necessary. We are confident among the ten selected there is one perfect to enhance your kitchen and cooking. Slow cookers provide many benefits for anyone with a busy schedule or for someone who does not want to keep a close eye on their meal that is being cooked. For those who use the slow cooker to have a nice home cooked meal when they return from work, they find that the one-step preparation process to be effortless. Simply apply all ingredients into the appliance, set the cooker, and you’re out the door. It’s not only easy to begin heating your meal, but it also makes an easy cleanup. When meats are exposed to lower temperatures for a prolonged amount of time, they start to develop more intricate flavors, making the meat more tender instead of overcooked. When meat is overcooked they tend to become tougher because the strands of protein become fused together, resulting in food that is harder to chew. There have been many concerns involving slow cookers destroying nutrients and proteins. However, there are many benefits to preparing slow cooked meals and there have not been many tests that proven slow cookers destroy these nutrients and proteins. In fact, any nutrient or protein lost during the heating process is still present in the juices or sauce that is being cooked with your dish. 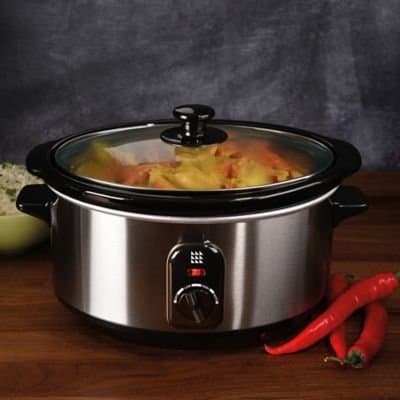 Slow cookers can be used to make one pot meals, soups, stews, and casseroles. The appliance can bring out the flavors in your foods. When vegetables and meats are cooked at a low temperature for a long period of time, nutrient-rich, natural juices are preserved. Slow cooked meals also tend to contain processed products over fresh ingredients. These processed products seem to present an increase of nutritional benefits. It has been found that canned tomatoes have a potential to offer more nutritional advantages than that of its fresh equal. When the tomato is heated, the antioxidant named lycopene, which is linked to heart protection, cancer prevention, and improved mood, becomes more available to your body because while cooking, the cell walls of the tomato are broken down and release more of the lycopene. Also, the antioxidant lutein, which is well known to protect your eyes against disease is found in corn and spinach, responds to heat during cooking. It has also been found that boiling peanuts increases their antioxidant concentration by up to four times than that of raw or roasted peanuts. Alternatively, your slow cooker can also be used to cook dried beans within eight to ten hours. Even if you have your bean laid in a pot of water all night, you can drain them when you wake up and add them to your dish in the slow cooker. A 2003 study compared the carotenoid content of fresh, canned, and frozen corn. This study found that frozen and canned varieties, which were both processed by heat, contained more lutein than the fresh corn. Slow cooking extends beyond increasing the availability of nutrients contained in vegetables. Inexpensive meats become tenderized through the lengthy, low temperature cooking process. Unfortunately, it’s sad truth that some of the most delicious ways we cook meat, such as grilling and flame-broiling, are also the least nutritious. When meat is cooked over high, direct heat, the protein and fat interact with the heat to form several harmful compounds. This can potentially be one of the reasons why people who eat a lot of meat have a higher risk of cancer and heart disease. So, if you enjoy eating meat more than once a week, then cooking your meal in a slow cooker is probably your best option because the slow, moist heat gently cooks it without generating harmful compounds. Other than tenderizing even the toughest and cheapest of meats and excluding harmful compounds that you may find with grilling and broiling, you will also find that cooking meat in a liquid at low heat can help reduce the number of cell-damaging compounds known as AGEs (advanced glycation end products) that are produced in the meat by 50 percent when compared to meats that are broiled or grilled. AGEs are typically found charred and grilled meats have been linked with inflammation, diabetes, heart disease, and cancer. This is considered a reason why slow cooking is arguably one of the safest ways to cook meat. Although slow cooked chicken does not look like it, this cooked poultry is loaded with crucial nutrients. When chicken is slow cooked, you will find that it is rich in taurine—an essential amino acid that promotes better cardiovascular health by increasing good cholesterol in the body and preventing arterial disorders. Taurine keeps the heart healthy by repairing aortic lesions and can help prevent blood clots that can potentially lead to strokes or aneurysms. Taurine is not only considered a nutrient, but an antioxidant as well, because it helps minimize the oxidation of fats in the body. Slow cooked chicken also provides high quality, lean protein. One of the main reasons why grilling chicken is not a healthy option as a cooking method is because this process activates glycation between sugars, proteins, and fats. This glycation is produced from burnt meats and browned foods, which ultimately converts any beneficial nutrients into cancer causing compounds. Unfortunately, these compounds can also damage organs and arteries. The lower temperature lowers the risk of burning foods that usually remain attached to the bottom. Another thing to consider is that even though a slow cooker runs for 8 to 10 hours, you will find that it is more energy efficient; only using about a third of energy as it would to cook the same dish using your oven. When meats are cooked at a lower temperature for an extended amount of time, your meal starts to develop deeper, and more complex flavors. Slow cooking also releases certain minerals including iron, calcium, and phosphate, which all work together to help keep teeth and bones strong and your joints and skin healthy. Overall, there are many benefits to be found when using a slow cooker to prepare meals. Nutrients are easier for your body to obtain due to the vegetable’s cell walls breaking down from the heat. This is also true for any antioxidants. Any meats that you cook, no matter the type or quality, will also become juicy and tender while slow cooked because the meat is trapped in a container and the nutrients are retained. Q. What makes up a slow cooker? A metal or ceramic cooking pot, which is more often separate from the heating element. This allows for serving at the table and easy cleaning. A lid, to cover the dish while cooking. Generally, they are made of glass so the cook can keep an eye on things. However, they do tend to mist up with condensate so it can be a little tricky. Cooks should remember not to take off the lid too often as this allows steam built up within the cooker to dissipate, which can lead to a drying out of the dish. The best advice is to switch on and forget. A heating element, which sits either below or below and around the cooking pot. There are a number of theories on which is best. Some say that as long as the heating element surrounds the cooking pot, there is less likelihood of overheating and burning of the ingredients as the heat is more even throughout the dish. This is probably more relevant when using ceramic cooking pots. Metal bowls made from aluminium or cast iron diffuse heat more efficiently so are less likely to have cooking hot spots. A heat control or timer. The basic heat control is probably off, fast, slow, and auto or warm. The control of a slow cooker is not a difficult thing. Provided the ingredients have been properly prepared, and the meat seared before the slow cooking process begins, the slow cook option is desirable. Some models come with a timer so the time of the cooking process can be regulated. Either the start time can be put back, so the meal will be ready at a set time, or the cooking time is adjusted, and after that, the dish is kept warm until you are ready to eat. The basics of a slow cooker are simple, it transfers heat created in the base towards the bottom of the crock. The heat then spreads to the sides of the crock and cooks the food inside. For most dishes, you would use the low setting which puts out less heat, but the heat is sufficient to cook the food to the right temperature safely. As the food cooks, a vacuum seal is created between the lid and pot, trapping all the steam. This condensation slowly drips back into the cooking pot, continuously basting the contents inside. That is why the long slow cooking does not dry out the contents, and the meal will turn out moist and juicy. Q. How to get the most out of it? A slow cooker is a time-saving device, so start by thinking about the sort of recipe you are intending to make. If it needs lots of preparation, then that defeats the object of using a slow cooker. It is a kind of fill and forget gadget. Put in the ingredients and let it do its thing. The slow cooker is ideal for casseroles and soups, but it can do other things as well. But for the basic recipes, you can just put in meat and vegetables, and maybe a little liquid, and set it cooking on low for six hours. To enhance the flavour it is often better to cook onions beforehand, and to brown the meat, to add a bit of extra colour to the dish. One of the criticisms most often heard is that slow cooked food lacks colour, and that most likely due to any meat not being seared before putting in the pot beforehand. Q. How best to cook meat in a slow cooker? The simple answer is trim the fat. You don’t need to add oil to a slow cooker, and the ingredients won’t burn if there is enough moisture in the cooking pot. When you fry meat of any kind a lot of the fat drains away, but this doesn’t happen in a slow cooker, so best to trim as much of it off the meat before popping it in to cook. Your finished dish will be healthier and tasty without pools of fat in your stew. Q. How do I get a good sauce or gravy? Slow cooking retains more of the juices than normal cooking, so this tends to increase the volume of cooking liquid, and that means a thinner sauce or gravy. Therefore, to get round this, it is best to try to thicken more than normal the sauce or gravy. To do this, it is best to toss anything that is to be sautéed in seasoned flour beforehand, which will give a tastier sauce or gravy. Slow cooking is a moist cooking process, so if you are considering using your favourite casserole recipe, it is best to reduce any added liquid by half. Q. How is it best to clean it? Once you have finished cooking, it is best to remove all the food from the cooking pot, and then fill it with warm water. This will help in getting rid of any pieces of cooked food stuck to the inside of the pot. It is best to consult the manufacturer’s instructions to see if the cooking pot can be put in a dishwasher, or must be washed by hand in the usual way. Failure to do so may permanently damage your slow cooker’s cooking pot. Q. Can I lift the lid during cooking? It is best to avoid lifting the lid during the cooking process. Slow cooking relies on the liquid within the pot circulating and helping with the cooking process. Allowing steam to escape will lengthen the cooking process, and could lead to the dish drying out. Remember the adage, if you’re looking, it’s not cooking! Q. Will my slow cooker overflow? 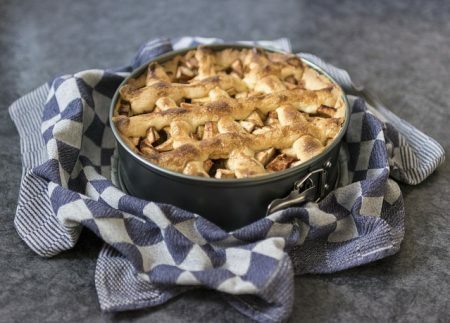 Most manufacturers warn that during the cooking process there can be a good deal of bubbling and simmering, which if the pot is overfilled can lead to it overflowing. This is not okay. The object of a slow cooker is to have a seal between the lid and the cooker, so any moisture within the dish is allowed to circulate, and not escape. It is advisable not to fill a slow cooker pot right to the brim. Otherwise spillage may occur. Leave about 0.5-1.0 litre of space within the pot for bubbling and everything should be okay. Q. Can I put frozen meat and poultry into it? Some people do it, but it is not safe and could lead to foodborne illnesses. This is especially risky for pregnant women, babies, and young children. The advice is that all meat and poultry should be allowed to completely defrost before being placed in a slow cooker. For safety reasons, food should be brought up to 60C (140F) as quickly as possible. Slow cooking on low usually cooks at around 94C (220F), and on high at 150C (300F). That is why it is often a good idea to start the cooking process on high, so the food reaches the safe temperature as quickly as possible. So cooking from frozen takes significantly longer and increases the risk of food poisoning. One other point is that putting frozen items in your ceramic cooking pot increases the risk of it cracking due to sudden temperature differences. If you bowl cracks then your slow cooker is unusable. Q. How safe is it to leave my slow cooker unattended all day? In short, it is safe, but it is best if you take some simple precautions. Slow cookers are designed to work right throughout the day without attention, and should not pose a fire hazard. However, there are some simple measures you can take to give yourself peace of mind. Place your slow cooker on top of a ceramic cooktop or hotplate, which is designed to withstand high temperatures, but make sure it is switched off! If you don’t have that kind of hob, you can always use a cutting board. Make sure no flammable objects are touching or close to the slow cooker, and it’s best if it is away from the wall or any curtains. Check that your kitchen smoke alarm is working properly just to be on the safe side. Q. My recipe says six hours, but I am at work for nine. What can I do? This is when you need a slow cooker with a timer or warm function. It is best to experiment to see which works out best for you. If your slow cooker as a timer, then you can delay the start of cooking so that the dish will be perfectly cooked when you arrive back from work. On the other hand, if it has a warm function, you can see if keeping it warm for that extra few hours does not hurt the flavour or wholesomeness of the dish. Q. What else can I make in a slow cooker besides soups and stews? It may surprise you, but you can roast a whole chicken in a slow cooker. Be sure to rub the chicken, over and under the skin, with your favourite herbs and spices, and then place it breast side down inside the slow cooker. This allows all the juices to marinate the breast and keep it moist and juice. After about four or five hours it will be ready. How about oatmeal porridge for a breakfast treat? It is the simplest of recipes; just pop oat flakes, dried fruit of your choice, water and a little milk in the slow cooker, stir and put it on a low setting when you go to bed. Hey presto, when you wake up there is your hot, delicious, and nutritious breakfast ready for you. If you are looking for something sweet for a dessert, then you can cook a cheesecake or carrot cake in your slow cooker too. A final suggestion is baked potatoes. Just dribble a little oil on the cleaned potatoes, adding seasoning to taste, and wrap then in kitchen foil. Pop them in the slow cooker for eight hours, and they are ready to eat piping hot from the cooker. There are lots more recipes to look out for, you can find them online or in recipe books. Q. How much does it cost to run it for 8 hours compared to an oven for an hour? A slow cooker is certainly cheaper. It will, of course, vary with the type and size of your slow cooker, and that of your oven. But generally, the statistics show that it is cheaper to slow cook. One energy provider did the sums, and says on average a slow cooker costs about 4p/hour run, whereas an oven costs 60p/hour. So doing the maths, eight hours of a slow cooker costs 32p compared to 60p for one hour of the oven, a clear bargain. Q. What is the tea-towel trick? When baking things like bread or cakes in your slow cooker, some people place a tea-towel around the lid to absorb moisture and make sure the bread or cake is not soggy. The tea-towel fits between the inner cooking bowl and the lid. The seal is intact, but excess moisture will be absorbed by the cotton of the towel. It is recommended that excess material is folded up over the lid and tied to the central handle if possible. It is best not to allow the tea-towel to drape over the sides of the slow cooker as this can get hot. People do have safety concerns and are worried that the towel may be a fire hazard. However, your slow cooker in normal working should never reach a temperature high enough to ignite the cotton of your tea-towel.